In my browsing of online auctions, I have seen the “S$1” designation, which means “Silver, $1.” This is sometimes confused in NGC labels as an “S” mintmark. 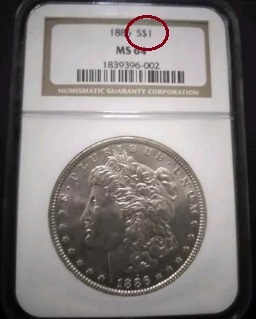 In fact, the 1886 Morgan dollar above was listed on eBay as 1886-S. The seller also misidentified the “S” in his description. 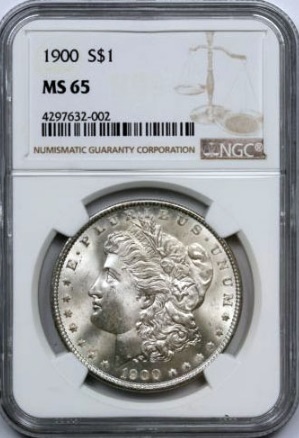 I have been watching few graded silver dollars, NGC and PCGS. Noticed that some slabs (PCGS mostly) say “$1,” and others say S$1 (mostly NGC). Have you noticed that? To me and many other beginners in those coins, that “S” could be confusing. What’s that S mean, silver? 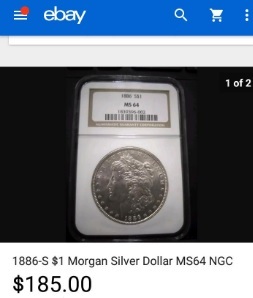 For a second I thought it may stand for S mint, and so did the seller in the description, almost got burned. Do we need TPG’s to tell us that the Morgans are silver? What’s the point of that annoying S? “S” means silver, it differentiates between say a $1 Silver Ike and a $1 Clad Ike. It is frequently used when there is more than one possibility for the date. If both gold and silver dollars were made that year you will see G$1 and S$1 If not then you just see $1. They do the same when there are two designs for the denomination that year. In 1921, the labels will say Morgan or Peace. In the case of the Morgan dollar, the “S$1” distinguishes it from the 1878-S trade dollar whose designation is “T$1,” as in the example below. We made this change in mid–late 2005. We eliminated series and coin numbers to provide more space for pedigrees. 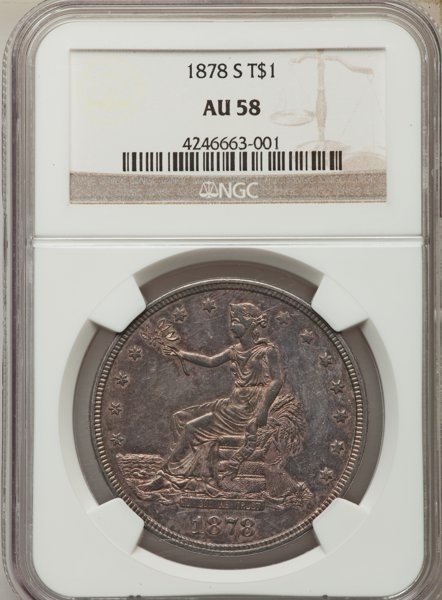 Here’s an example of an 1881-S Morgan in an older and later PCGS slab, showing the “S$1” and “$1” designation. 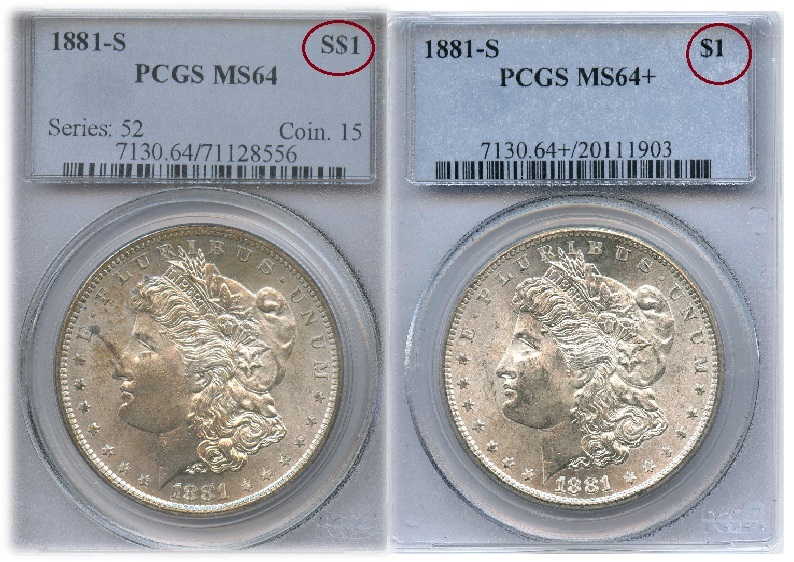 However, PCGS did not run into the same “S” confusion problem as NGC because the date is flush left on the label and the designation, flush right. People were angry and thought I was trying to deceive them. It really was an honest mistake. In my view, there is no need whatsoever to use the S$1 designation. You may disagree, but I think the “S$1” should be removed from all Morgan label designations, except, perhaps, from the 1878-S Morgan, to distinguish it from the 1878-S trade dollar. 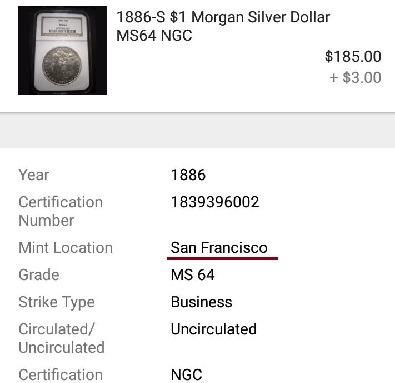 In the end, the point of this post is to inform those unfamiliar with the terminology to be aware that the “S$1” does not stand for “San Francisco” in NGC labels. It might be wise in the next label redesign for NGC to remove that “S$1” designation or distance it in the field from the date to avoid any confusion as illustrated above. To be honest, in the past, I once made the same mistake in an online bid, trusting the seller who had confused the designation for the mintmark. It happened on Proxibid, so I could not return the coin. Have you ever encountered this phenomenon with the NGC label? What are your thoughts? Share them in the comment section below. 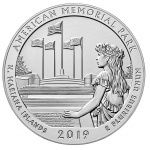 collecting that they are ready to spend money on graded coins, but do not know whether a coin is silver or clad has no business buying expensive coins at all. Drop the S!